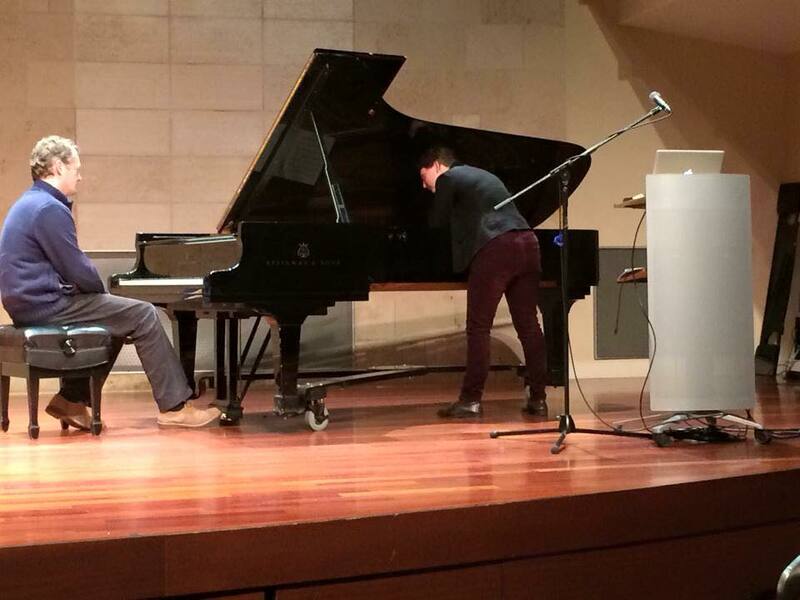 I spent a large part of the past few days at the first annual New Music Gathering, here in San Francisco. It was great to see so many people who write, perform, appreciate, support, and otherwise enjoy new music come together to share ideas. Presentations covered all kinds of topics related to new music, relating to audiences, preparing a piano, music criticism, women in new music, etc. 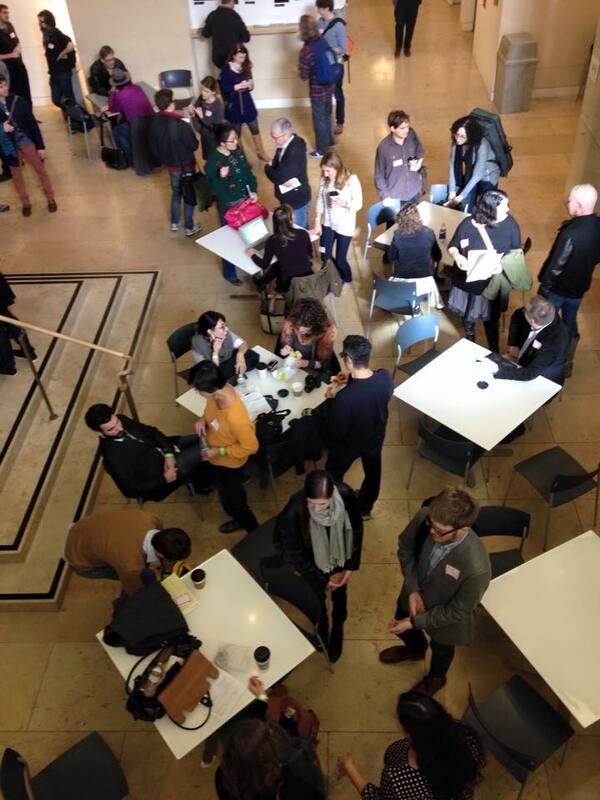 There were concerts, there were talks, panels, conversations over lunch, meeting of new people, reuniting with old friends. #NMG2015 was the first conference I’ve been to, and overall I’d like to say I enjoyed the experience! Thanks to everyone involved who made this event happen, and here’s hoping it becomes a lasting part of the new music community! Music School: preparing for the real world? I recently posted a link to an article that proposed that a) the symphony orchestra is dying and b) a way to solve many of the problems faced by recent graduates of music school would be to require them to double major in business. This post generated conversation which led me to want to expand upon my opinions. First, a disclaimer: most of what follows (all of it, to be honest) comes from my personal experience and the experiences of my friends and is therefore not at all scientific, nor does it apply to all schools or even to all majors within my own school. It does represent a perspective (mine) on the school vs. real life issue, that may or may not be relevant to other people who study or practice music. Whether or not you agree with the following is irrelevant. It presents an opinion based on a set of experiences and posits a possible shift of paradigm towards creating an environment more conducive to these sorts of “doing stuff” opportunities. The second disclaimer: Any creative spelling or insane grammar I blame completely on the large cupcake and huge quantity of caffeinated beverage I just consumed. It’s almost 6 PM. I’m currently 12 hours into my day (it won’t end until after I take two different kinds of transit home from a concert that I finish playing in about 4 and a half hours). I am after all a working musician. While I was a student, I sought out all kinds of experiences and opportunities. I stretched myself thin in order to squeeze every possible drop out of my education. I had several forms of motivation to do this: the encouragement of those teachers and mentors who knew me well, some pressure from my family, and a lot of pressure/motivation from within myself. As a result of this, my third year at a conservatory I was, in addition to taking a more-than-full class load, directing a new music festival, single-handedly running the student concert series I founded, and auditing a course with a world-famous prof at a nearby university at the urging of one of my professors. Around this same time I enrolled in my conservatory’s class designed to prepare students in the final year (or two) of their study for the “real world.” I say “designed to” deliberately. In reality, the class was a bit of a joke, and mostly a couple of hours week in which you could do your homework for other classes, sleep with your eyes open, mentally practice, or text under your desk. Nobody cared, everyone hated it, and I don’t know about the rest of the class, but I didn’t learn a thing. Or, if I did, it was so wrapped up in the bored stupor that pervaded the classroom that I forgot it again within a week. To put this in context: I wasn’t the kind of student who didn’t study. I was on the dean’s list every semester but one, and that one due to a technicality (incomplete jury grade due to an overuse injury. See? I worked too hard). A huge percentage of what I now know (much of which has helped me get and keep my current employment) I learned by doing. All of the “doing” I did while in school happened without the approval (let alone support) of my private teacher. Example: my teacher found out I was directing the new music festival the week of the festival, and then only because she happened to see my name on the flier. If I had asked for help at any point, I would have been chastised for “doing too much,” told to drop the project, and would probably (based on what I heard from studio mates) have had my grade lowered. This same criticism, that we were “doing too much” was aimed at any unfortunate member of my studio who made the unforgivable mistake of leaving the music they were learning for our (required for graduation) accompanying class in their bag on lesson day. I only made that mistake once: I never ever asked for help or suggestions on anything my teacher hadn’t specifically assigned me again. I relay this information not because of anything to do with my lessons (whole different set of issues and none of your beeswax either), but because it illustrated the barriers set between students and “learning by doing” while in school. If doing anything besides practicing repertoire picked out by the teacher for juries (entirely from the standard repertoire, with Prokofiev and Scriabin as “modern” works) results in criticism (in some cases this criticism is represented by grading) in an educational environment where the private teacher basically owns the students’ musical lives for 2-4 years, very few students will actively seek out “learning by doing” opportunities. Given the above information, I now point out to you, my reader, that in the case of each of my current jobs I’ve been hired almost entirely based on experience I gathered (without my teacher’s support or approval) doing things. I learned how to run a music festival and direct a concert series, how to work with other people, how to be professional, how to work on my own, how to fit into any situation that might arise. I learned to improvise, I learned to say no, I learned to say yes (and go learn how to do it later), I learned that I can get by with very little sleep when necessary. I learned how to create and distribute promotional materials, I successfully coordinated over 150 people’s schedules to make an 8-hour-long marathon concert containing 10 hours worth of music in three separate halls (including an opera) flow smoothly. (Side note: the music festival is still going, as is the concert series. Hooray for lasting impressions!) In other words, I learned how the real world works. Nothing is perfect, things happen, and you deal with it. You can’t get stressed, you can’t throw a fit, and you can’t drop a project at the last minute because you’re “too busy” unless you never want to be hired again. The music world is a very small world. The new music world, smaller still. In addition to picking up these very marketable skilled, by the time I graduated I had more than a year’s worth of actual work experience on my resume. So, back to the original issue. If the culture of a conservatory were altered just a little bit, so that teachers supported students’ active rolls in the community more, this kind of experience would be common. I’m not implying that all studio teachers are ogres who never let students do anything worth while. Instead, I’m commenting that my education in a conservatory setting would have been much easier to navigate had I had full teacher support. Sometimes the best thing a teacher can do is to realize that a student is driven in a certain direction and help that student progress instead of trying to force that student to fit into a standardized educational model. Not that everything wrong with a conservatory education is the fault of the faculty! Far from it! A large part of the fault (if you want to even call it that) lies with the students. I’ve known plenty of people who do nothing but practice. Those who don’t end up flunking out of school (yes, you can flunk out of music school for academic reasons. Lots of people do.) are almost unanimously unable to find employment. Not only do they have no real experience, they have also learned to be unprofessional, to skip appointments, to look down on learning, and flaunt a lack of respect for education in a field still fighting with charges of elitism. Smart move? Probably not. As institutions, there isn’t very much music schools can or should change. Many do have programs designed to introduce music students to the business side of life. However, a few small policy and attitude changes could at least pave the way for students to create more chances for themselves. Studio teachers having less of a death grip on students’ musical lives during their degree programs would help. Perhaps a way around this would be to allow all students (even undergrads, yes) at least some say in their repertoire choices. Another would be to encourage thinking off the beaten trail. Sure, there are benefits to learning a balanced program. Yes, I see a point in making students represent the four major eras of music history on their jury programs, at least for the first two years. In the case of my school the catalogue is actually quite forgiving. The first two years are closely regulated, but the second two offer ever greater freedom of choice. The actual description of a senior program’s requirements are “an hour of music of the applicants choice.” Take away the unwritten rules “all undergrads must at all times be playing a polyphonic work by Bach, a sonata by Beethoven (or Mozart/Haydn if they can’t play, or Schubert if you want to bug one of the other faculty members who hates Schubert), a major 19th century work (Chopin or Liszt preferred, anybody else considered a wild choice), some etudes (Rachmaninoff, Chopin, Debussy, MAYBE Scriabin), oh, and something Prokofiev for the modern work, or Schoenberg if you’re feeling daring,” and it seems just fine to me. Another change in administrative policy that would make finding and/or creating opportunities easier for students is if the administrative staff (as well as the faculty) were actively supportive of independent work and helped students turn their ideas into workable projects. In my case, several individual faculty members proved to be of great help to me in realizing some of my plans. Unfortunately, this was the exception rather than the rule. My faculty advisor stepped in to coach me when my piano teacher refused to come to school outside the hours I was in class to hear my trio play a modern work. Knowing which faculty members to enlist when you needed help petitioning some committee or other for permission to do a project proved of vital importance. A teacher from an entirely different department signed off on projects and then backed off to give those of us working on them enough breathing room to make our mistakes and learn from them. I think more faculty support for student projects like those that I learned most from would be possible if a certain number of independent work credits were required for graduation. By putting these projects officially on the class list, it creates the idea that they are not only legitimate but also deserve the same attention and work that a regular class would. It also creates a push for the administrative staff to leave off their worries about quality control and such and let the students to their thing (within reason). With the right kind of institutional support and acknowledgment, many more students could create the kind of events that will help them prepare for their individual path in the field of music instead of turning out another hundred or so highly skilled musicians who don’t know what to do with themselves each year. 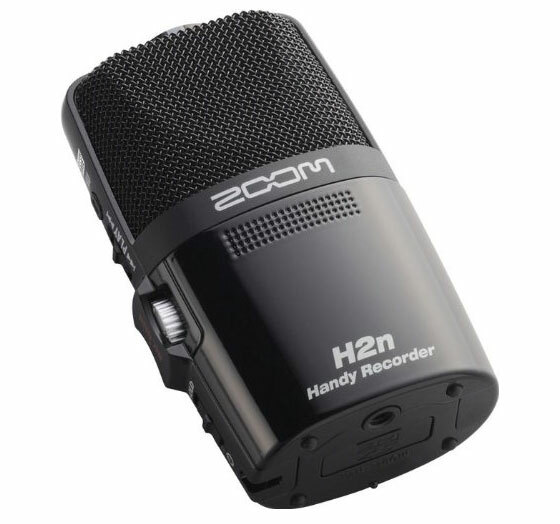 My new zoom recording device just arrived! Now, once I figure out how to put the batteries in, I’ll be posting more recordings/videos now that I have a way to record decent sound quality. Especially looking forward to recording Nick Norton’s piano piece „All The Right Notes“ (and here’s hoping I get them all right!) and some more pieces from my Cowell project. 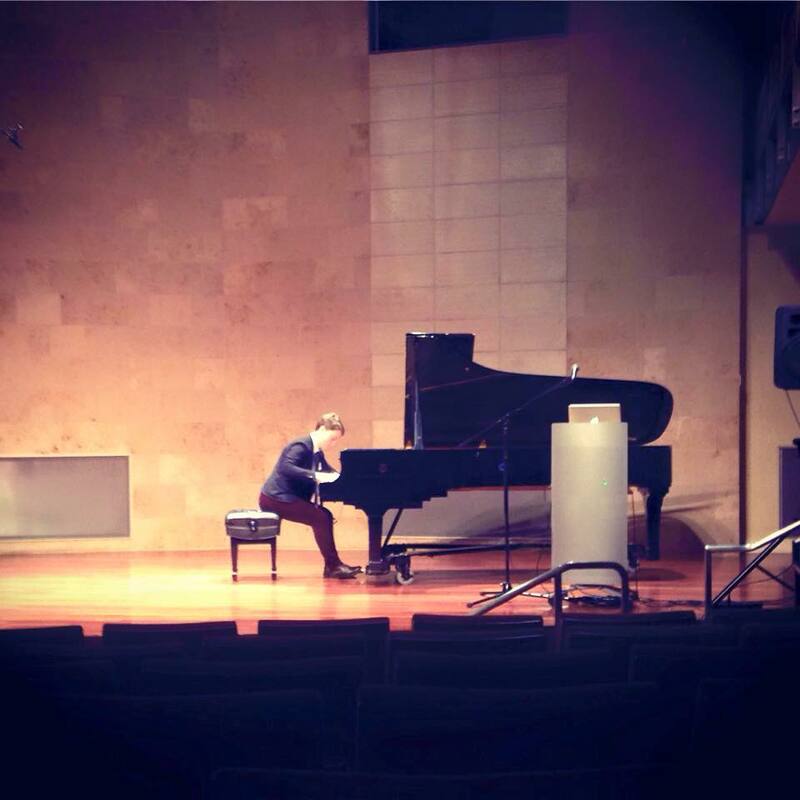 You can also expect a Chopin Ballade and several other bits and pieces of stuff that I’ve been practicing lately. But first I need to practice more. Nixon in China. John Adams’ first opera. San Francisco Opera’s series of performances (which began June 8th) represent the San Francisco Bay Area premiere of the fully staged opera, the 25th anniversary of the work (a concerted version with a piano reduction of the score took place here before the formal Houston premiere in 1987), and the 40th anniversary of the events which inspired the opera. As the title suggests, Nixon in China traces the story of Richard Nixon’s historic trip to Beijing in 1972. An interesting historical aside: had democrat Hubert Humphrey won the 1968 election instead, a diplomatic visit to China would have been practically impossible. Nixon, as a republican and an anti-communist, stood a much greater chance of diplomatic success than perhaps any other american politician of the day. Naturally, I was curious how the Spirit of ’76 would be represented – it’s not everyday you see a Boeing 707 inside an opera house! 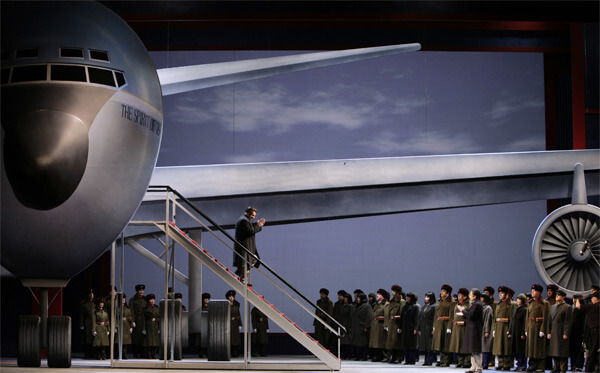 The plane was projected onto a screen during the overture, and at one point Nixon was illuminated behind the screen so as to appear inside the plane. This was very effective from most parts of the theater, unfortunately the angle from where I was sitting made Nixon appear between two windows instead of properly framed within one. As the plane landed, the screen was withdrawn to reveal a steel/foam/wood model of the plane from which the President and Mrs. Nixon descended. At this point, President Nixon (Brian Mulligan) waved. The wave was in such good imitation of Nixon that the audience (most of whom were old enough to remember Nixon as president) tittered. The banquet scene ending act I was wonderful – the toasts moved the scene from a dignified political dinner into a wild and drunken party with cast members dancing on tables and the crowd on stage cheering. 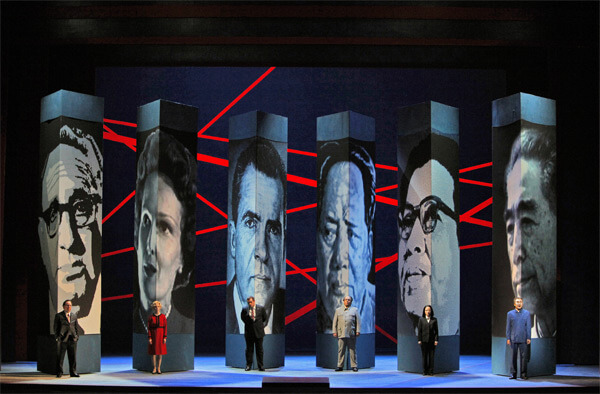 Ingenious use of projected images and video on screens added depth to the stage, from the landing of the Spirit of ’76 to Pat Nixon’s tour of Beijing. As the opera progressed, it was interesting to track the moods of the characters – for example, Nixon starts out almost comically upbeat and hopeful in the “news” aria, moves through the diplomatic scenes in act I into confusion, is plunged into disbelief in act II, and by the time the opera comes to a close, he seems a hollow sort of fellow who’s fallen into exhaustion and can’t wait to get home. Brian Mulligan did a magnificent job in his debut as Nixon, showing his character’s transformation both through acting (including a rather athletic choreography for “News! News! News!”) and superb musicianship. In addition to Mulligan as Nixon, role debutes included Hye Jung Lee as a fiercely dynamic Chiang Ch’ing and Patrick Carfazzi as a very convincing Henry Kissinger. 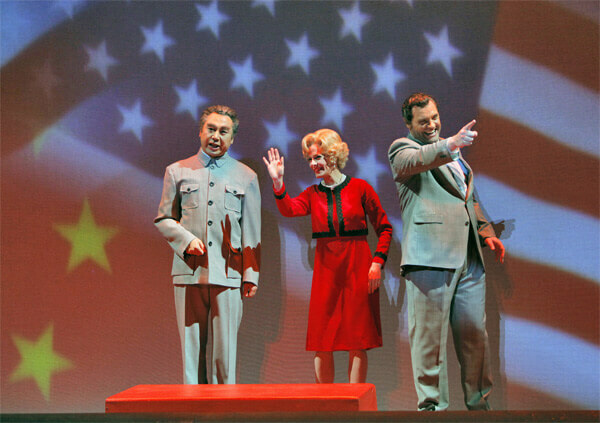 Recently someone commented to me that Nixon In China is a unique opera in that it has no strictly sympathetic characters. The Nixons and Kissinger are presented as bumbling and stupid, Mao is all frailty and pomp, Chiang ch’ing is more than a little crazy—not to mention bloodthirsty—and Chou En-lai, while enigmatic remains outside any audience sympathy though it falls to him to end the opera with the question “how much of what we did was good?”. However, one doesn’t need to feel sympathetic towards a character to appreciate great singing. Personally, I felt that act II was among the most riveting musical experiences I’ve ever had. The blending of “reality” with the action of the Red Detachment of Women was mindbogglingly well done, the drama of Chiang Ch’ing’s aria “I am the wife of Mao Tse-tung” absolutely riveting. Hye Jung Lee sang with great force and successfully navigated the extreme range of Adams’ writing. The staging at this juncture included the whole chorus waving their little red books in violent rhythm and a flag draped dais is covered in “dead bodies” under all red lighting. This scene offered a glimpse into the results of the activities of the Gang of Four, of which Chiang Ch’ing was a member (for her activities during the Cultural Revolution she was later sentenced to death, which was commuted to life in prison. She hanged herself in 1991). My only complaint is that the orchestra seemed less-than well prepared. The string section in particular seemed unable to play together. While Nixon in China is an example of Adams’ more minimalist influenced writing, it is by no means simple. The complex rhythmic patterns and off-beat accents would have benefited from a more coherent reading. I know that the company is producing three operas at once, perhaps rehearsal time was limited. These minor ensemble problems aside, the production was quite well done, and I enjoyed the opera enough to want to see it a second time the following week. The final act was quite well done. It showed each of the characters reminiscing about their experiences, hopes, dreams, and ideas. Perhaps the most stunning line for the grayer-than-usual new music audience on the whole opera took place at this point: Chiang Ch’ing screams in the direction of the audience “let’s show these mother f*ckers how to dance” and then drags Mao around the stage as the Nixons struggle to keep pace before eventually fading into motionlessness. As the audience was shown more of each character’s personality (or lack thereof), my appreciation for the staging grew. The staging left little to the imagination, without ever getting in the way of the action. All in all, the San Francisco Opera’s production of Nixon in Chinadid an excellent job of tracking the development of the characters, and held my interest through all three-and-a-half hours (including intermissions), which is quite an accomplishment for an opera without a single sympathetic character.